Fifteen pairs of slender steel columns standing in a circle rise and twist together, flaring out to form a circle whose diameter is wider than that at the base. At the top of the tower of twisted columns, back-lit plastic tiles spell out "TALLYWOOD." Dan MacMillan hired product designer and School of Design instructor William Baron to design the sign, wanting something to "catch people's attention." A schematic of the sign was used as a logo for the shopping center and was pasted on trucks and printed on letterhead and bags. 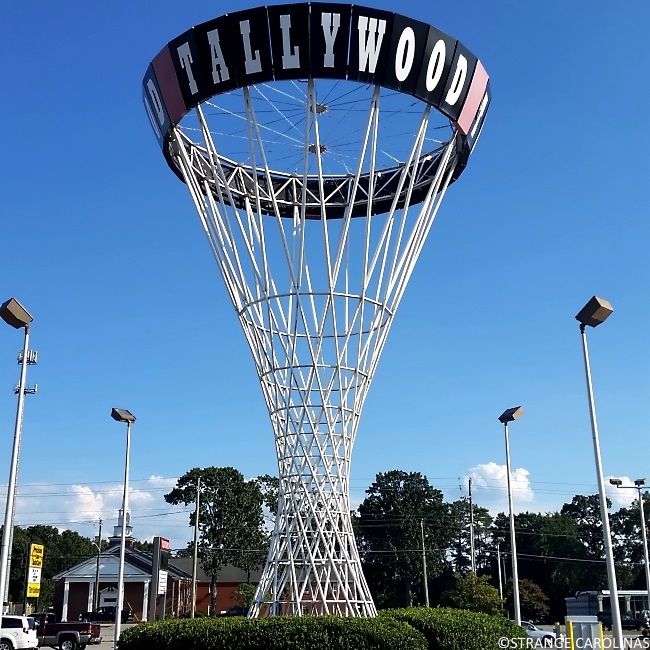 Tallywood is being torn down! save the tower!